The Rookies, a worldwide awards and mentor programme for young creatives in games, film, animation, virtual reality and 3D visualisation, have ranked Howest University, Digital Arts and Entertainment as the best school in the world in 2017 and 2018 to learn game art and game development! 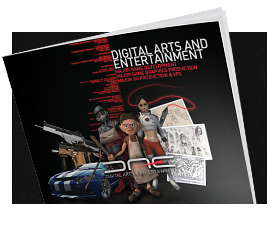 These rankings are made by professional judges from leading companies all over the world, such as Weta Digital, Pixar, Epic Games, Sony, Rockstar Games, Ubisoft, Double Negative, Framestore, The Mill, 80.lv, Ninja Theory, and many more. All aspects of education that we also value highly here at Howest-DAE! So we want to warmly congratulate all our students who submitted their projects to the Rookies website, with a special mention to Thomas Van Nuffel, who won the Rookie of the Year Runner Up award, and Jean-Philippe Lybeer with an equally well-deserved People's choice award! The Belgian Press got word of this award and Digital Arts and Entertainment has been in the news all week! We also received tons of wonderful responses via email and our different social media channels, coming from DAE alumni living and working all over the globe, from university and industry partners, and also from numerous local and national officlas, such as our Minister of Education Hilde Crevits and the Major of Kortrijk Vincent Van Quickenborne. Thank you all for your support, and congratulations also to the other schools who did well in the rankings!